An unusual encounter between four killer whales hunting a sea lion and four humpback whales that intervened might just help rewrite our understanding of animal behaviour. Was it survival of the fittest or stepping in to help out when some whales saved a sea lion from hungry orcas? Was it the law of the jungle, the golden rule or just some newcomers defending their turf? 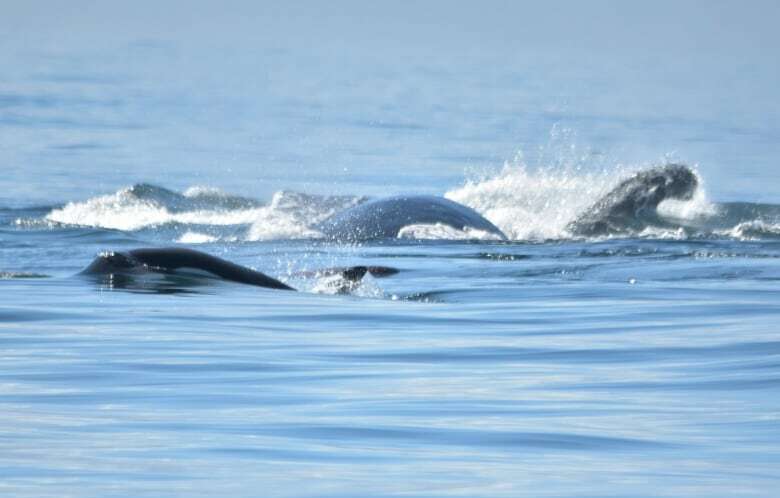 Some whale watchers are still trying to make sense of an unusual encounter off the southern tip of Vancouver Island that might just rewrite our understanding of interspecies behaviour. "This was an example of humpback whales coming to the rescue of another marine mammal, in this case a Steller sea lion," said Michael Harris, the head of the Washington-based Pacific Whale Watch Association. "We knew there would be some encounters, but we never expected to see something like this. It was an amazing, amazing encounter." 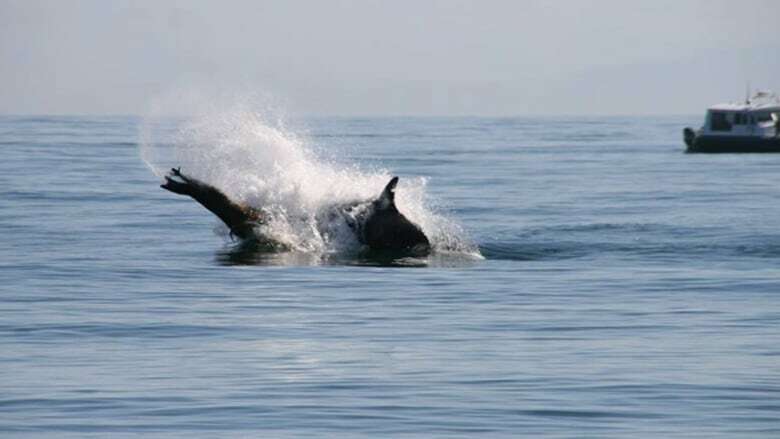 According to Harris, the incident began when a group of four Bigg's Killer Whales started hunting a lone Steller sea lion in the waters off Sooke on Sept 11. 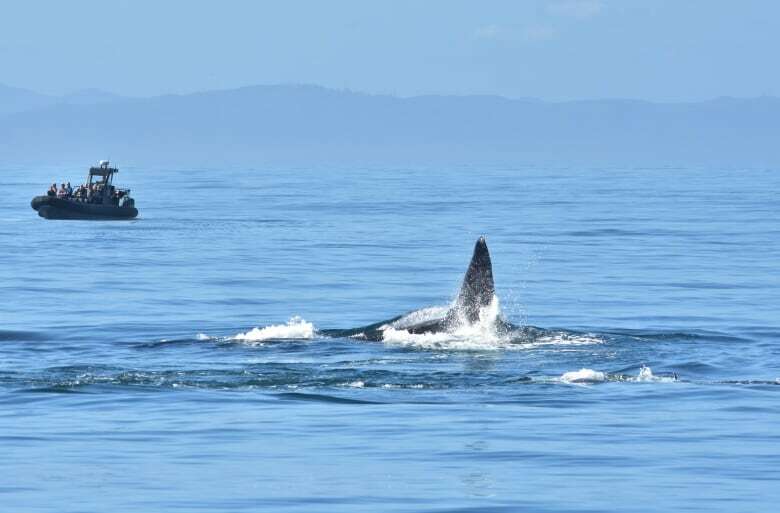 "As the hunt was going on, two humpbacks decided to intervene and actually get between the sea lion and the killer whales," said Harris. "Then, two more humpbacks joined the fray, literally putting their huge bodies between the orcas and the sea lion, flipping their flukes on the water, trumpeting very, very loud at these transient orcas and ultimately saving this sea lion and escorting it in the other direction of these killer whales." Naturalist AletheaLeddy with the Port Angeles Whale Watch Company was one of the first on the scene and watched the whole encounter unfold. "The water boiled all around as the orcas tried to separate the sea lion from the humpbacks," she recalled. "It was a wild scene with the humpbacks even circling the sea lion trying to keep him safe, while he frantically struggled to get his breath. The anxiety of the humpbacks was palpable, and they took turns diving and slashing at the orcas. Veteran Capt. Russ Nicks of B.C. Whale Tours of Victoria also saw the attack — and the defence. "What we witnessed was pure aggression," Nicks remembereds. "We had four humpbacks trumpeting, rolling on their sides, flukes up in the air multiple times." "The killer whales split many times into two groups, with one that appeared to try to draw the humpbacks away from the sea lion. The other group would go in for the attack, while the humpbacks were safely away — but then they'd get in the middle of it again, fighting the orcas off. It was amazing to watch." Eventually, the humpbacks appeared to win the battle with both sides going their separate ways, including the sea lion who stuck with the humpbacks until it was safely out of sight from the hungry killer whales. "I think the Stellar sea lion was well aware that he had some help out there, and he was lucky he did, because he would have been lunch," said Harris. Harris says this is the first time he's heard of this sort of behaviour by whales in the Salish Sea, but it's actually been reported elsewhere recently. 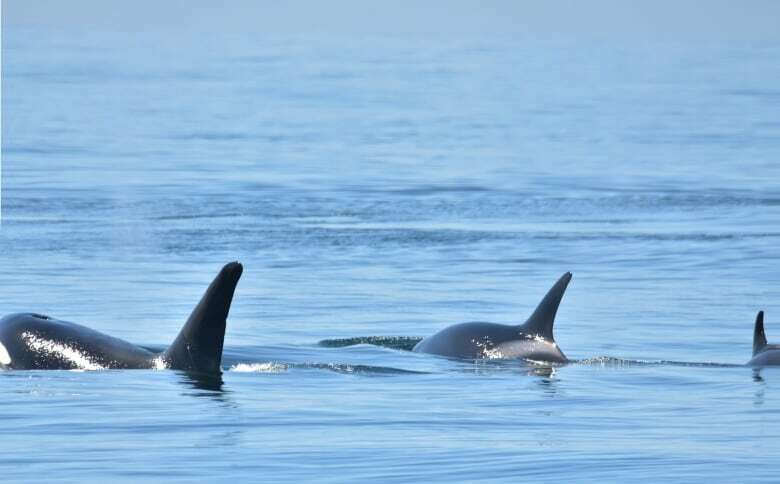 "A publication came out last month from researchers who were saying they were witnessing humpback whales coming to the rescue of smaller marine mammals and saving them from transient orcas, but we had never seen anything like that in the inland sea." According to researchers, most of the time when humpback whales do battle with killer whales, they appear to be acting in an apparently altruistic way to save other marine mammals from the transient predators. "Nine times out of 10, they are actually intervening to save another species," said Harris, who admits when he first heard about the research, he was skeptical the researchers were over-interpreting the animals' behaviour. "Someone asked me about it, and I said, 'I'm not so sure about it. I think we would need to see something like that happen. That seems pretty anthropomorphic, like us human beings imparting our own value sets on these creatures out there.'" "But now we have seen it first-hand, and I am a believer," he freely admitted. The recent encounter raises good questions for Harris and others about what might be driving the animal's apparent inter-species altruism. "Why would they be doing this? Why would they be pulling themselves from foraging, or mating or other behaviour?" He says his own best answer might be to question our assumptions about this kind of behaviour. "As humans, we like to think that only we are evolved enough to do something so altruistic — when, in fact, seeing something like this out there makes us wonder, how come we're not more like this?" "I think that this a reminder that other mammals out there in the world are just as capable of doing gracious, good things as we are." 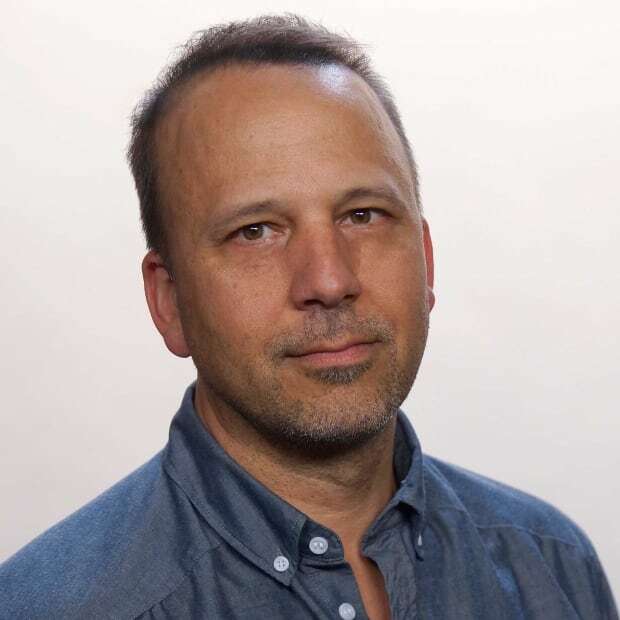 And he notes the altruism of dolphins is already well-documented, with plenty of stories of them coming to the rescue of other marine mammals and even saving humans. While that is one possible theory, Harris admits there may be other more scientific explanations for the behaviour, tied to the recent re-colonization of the Salish Sea by both the Bigg's killer whales and humpbacks. 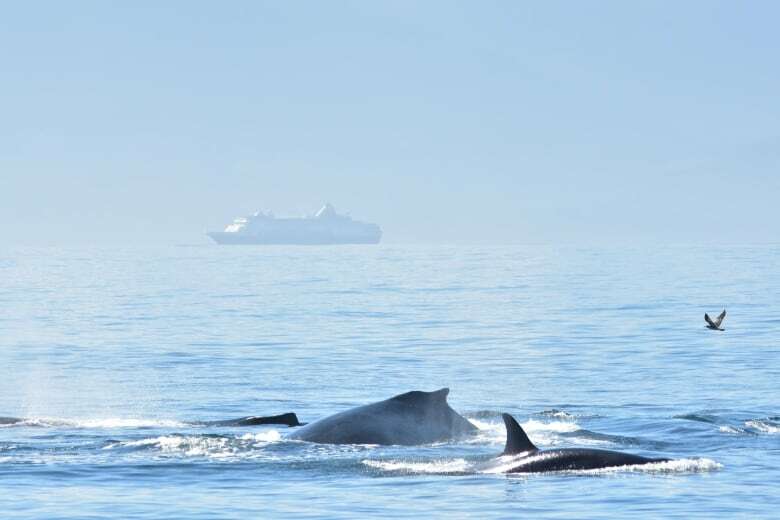 "We are seeing record numbers of transient Bigg's killer whales out there, along with this record number of humpbacks." "They are in new territory, and it might just be with these two out there it might just be territoriality. It might just be them saying, 'Hey this is where we belong. You go elsewhere.'" The researchers behind the study have also put forward the theory that since some orcas feed on humpback calves, when humpbacks charge in and break up orca attacks, they sometimes save the life of a humpback calf. Nevertheless, no matter what the explanation, Harris says we have much to learn about humpback whales. "This is an emerging science," he notes. "These animals are capable of so many things, and we're just learning about what they are capable of doing."